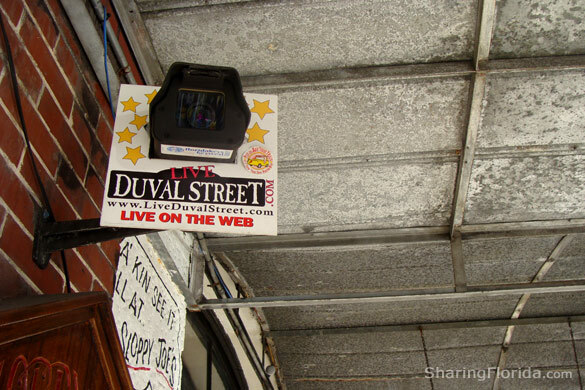 Live Camera to View Duval Street in Key West Where is the Camera Located Outside Sloppy Joe's Bar? The live web cam outside of Sloppy Joe’s Bar in Key West. This camera is stationary, and live 24/7, pointing to the sidewalk right outside of Sloppy Joe’s. Many people walk by and do not notice the camera pointing at the entrance. You can also see the traffic on Duval Street. Want to see the live camera?